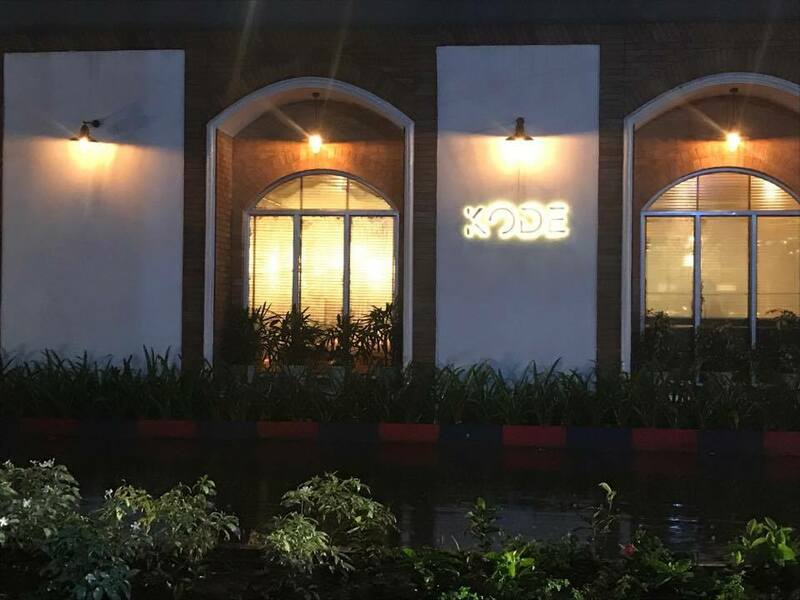 Welcoming the newly opened KODE – Freestyle Bar and Kitchen, by restaurateur Zorawal Kalra, another one added to the list of awesome restaurants in Lower Parel. KODE offers a variety of cocktails and drinks presented in the most innovative and exquisite way. Not only that, it has the largest selections of whiskey in India. The food menu includes sushi, grills, pizzas and other European dishes. As we entered, we couldn’t stop admiring the bar and how spacious and well decorated the restaurant was. It looked perfect for a formal dinner or for a good meal with your friends. To begin with, the Togarshi & Garlic Olives Chives Crème Fraiche is a dish perfect for the ones with a liking for bitter palate. The crème fraiche balances the bitterness of the olives making it pleasant to the taste buds. We then tried The Old Fashioned Cocktail which is saturated with Angostura bitters, a Sugar cube mixed with whiskey, garnished with an orange slice along with a Maraschino cherry. 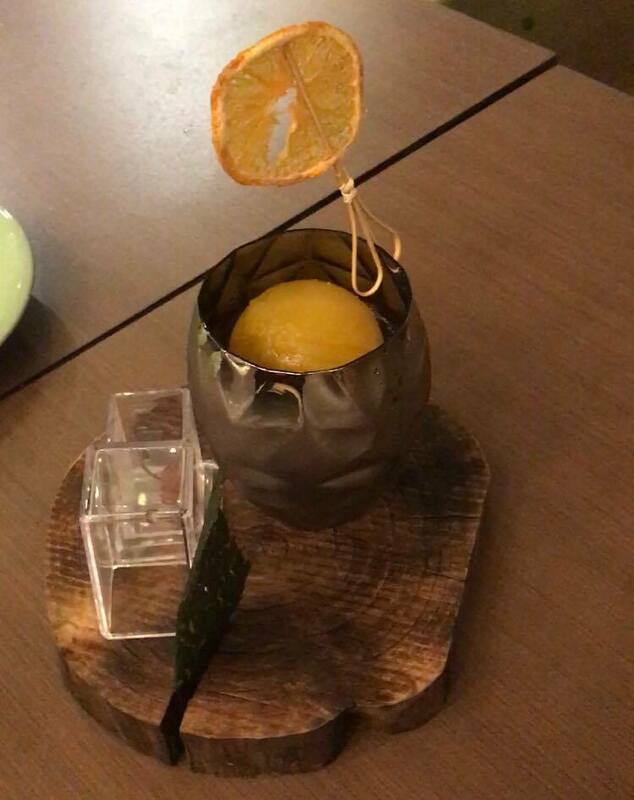 The cocktail was served in a fancy metal like container giving a feel of its origination back to the 19th Century. The B vs B cocktail is a perfect blend of Benedictine liqueur and Brandy. Served elegantly this one won us over! Our next dish was Herb Crusted Scotch Eggsbaby Greens which was my personal favorite dish. Not only did the dish look so beautiful, it lived up to its taste expectations. One cannot visit KODE & not try out these scotch eggs. The Avocado Carpaccio definitely worth a try for all you Avocado lovers out there. We then moved on to the Garlic & Pepper lamb Chops potato Wasabi Cream. The chops were well cooked and the combination of the lamb and wasabi cream was heavenly. Who doesn’t love a classic Mexican dish? Charred Chicken & Jalapeno Quesadillas Jerk sauce was a one of its kind. Seasonal Greens & Fungs Ramen Coconut Broth is a portion of noodles with fresh green vegetables adding sweetness using coconut broth. 18 hours cooked Lamb Shanks Blue Cheese Truffles was literally the best lamb we’ve ever eaten. Tender and juicy, the blue cheese truly was relishing. Potato Gnocchi Roasted Pumpkin Crispy Sage & Parme was the best vegetarian dish. Soft and delicious, this was awesome. After such a hearty round of dishes, the desserts topped it all. 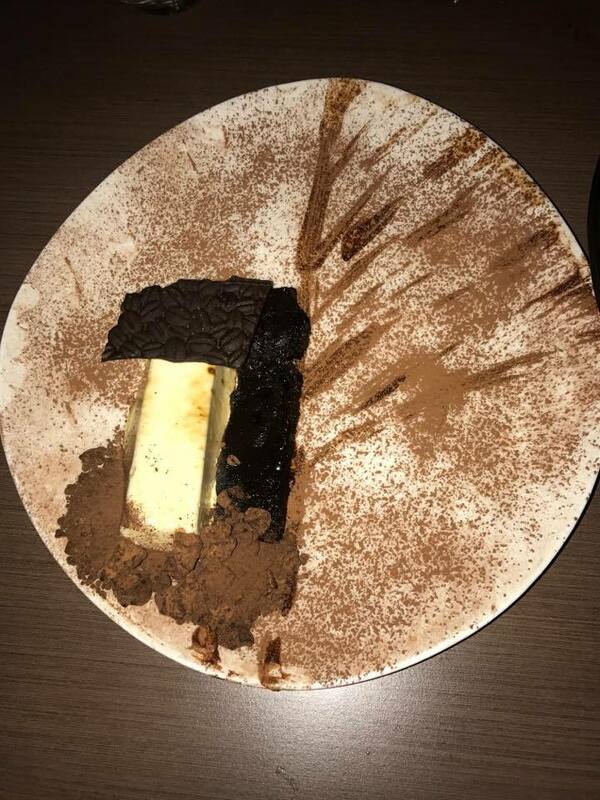 Tiramisu was beautifully plated, soft, with the right amount of cocoa. 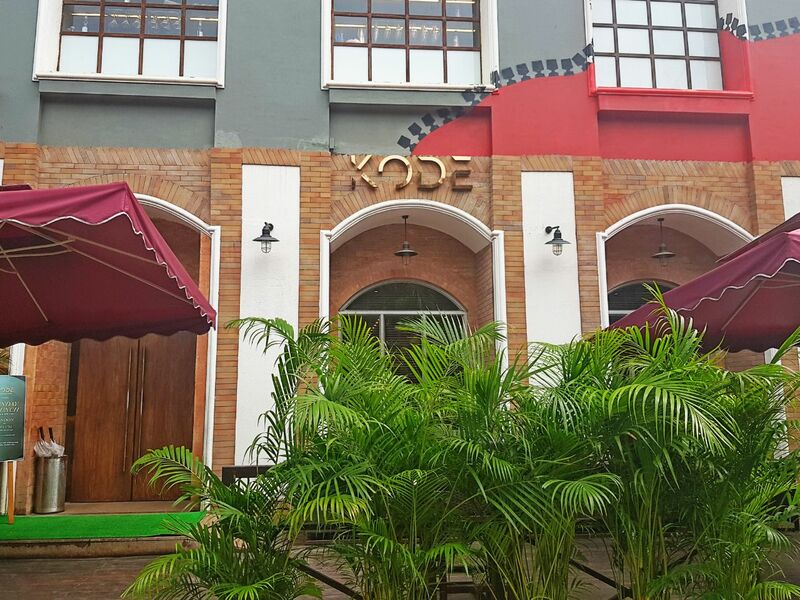 Overall, KODE lives up to the expectations of good food and a lovely atmosphere. 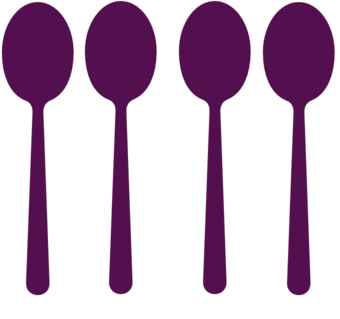 Enjoy your meals in the best way, Dine-in today!